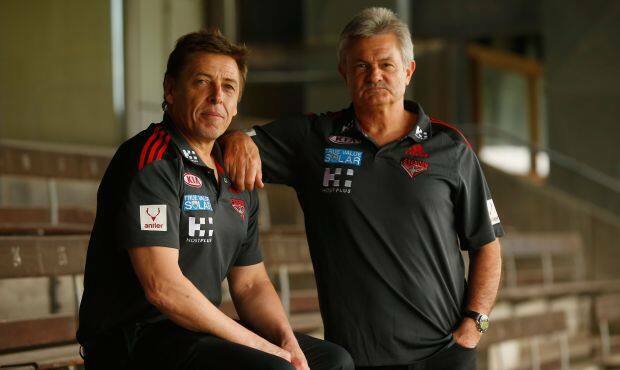 Essendon Football Club is pleased to announce the appointment of Mark Thompson as its senior coach for the entire 2014 season. The club would also like to welcome Neil Craig, who has been appointed to the newly established role of Head of Coaching Development and Strategy. After a thorough interview process, which included a number of highly talented and experienced candidates, the club felt Thompson was the most suitable person to coach the team next season. Chairman Paul Little said the club was confident ‘Bomber’ was the right person to take on the role. “We are pleased to appoint Mark to the role of senior coach for the 2014 season,” Little said. Bomber said he was looking forward to taking on the responsibility of the senior coaching role. “I made my intentions clear to the club several weeks ago that I was ready and willing to take on the job if they felt I was the best candidate to do so,” Thompson said. Neil Craig’s appointment as the Head of Coaching Development and Strategy for the next two seasons was part of the club’s recent changes to its football department. Little said Craig’s wealth of experience would assist the football department through the period of transition and guide it towards its key objectives and outcomes. “Neil has worked at some of the most professional sporting organisations in the country and we feel the experience and knowledge he brings will benefit our entire football department,” Little said. The former Adelaide and Melbourne coach said he was very excited about his appointment to the new position. “I’m really pleased to have been appointed to the position of Head of Coaching Development and Strategy. I feel I bring some unique insights and experiences and I’m looking forward to the challenge of helping the club move forward after a frustrating season,” Craig said. Essendon Football Club would like to thank the other candidates for their time during the recruitment process.